Ten Great Moments From Jazz Recordings In 2009 : A Blog Supreme Recapping 10 of the best moments -- not albums, not full songs -- from the year on record. Those ear candy, rewind-the-track bits; the parts of songs which really slay you with sublime beauty or ecstatic groove or innovative breakthrough. The Village Voice poll literally has 99 critics, but this blogger ain't one. The 2009 Village Voice jazz critics' poll is out, and I wasn't asked to participate. Never mind, of course, that we've only been blogging here for seven months, and that my personal corpus of work pales in comparison to anyone else's on the list, and that I don't even have a top 10 list of records I'm comfortable issuing yet. I'm going to choose to be mock-offended by Francis Davis' better judgment cold snub anyway. And yet, I still feel some strange compulsion to share some moments from my 2009 jazz listening. 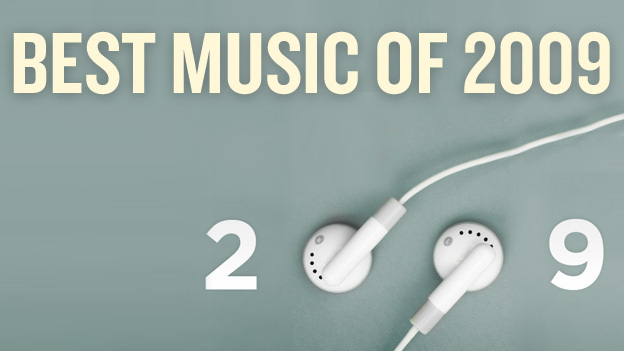 That's how I've imagined this list, too: 10 of the best moments -- not albums, not full songs -- from the year on record. Those ear candy, rewind-the-track bits; the parts of songs which really slay you with sublime beauty or ecstatic groove or innovative breakthrough. (There are only 10 because what would this world be without imposing restrictions on ourselves, and because, dogg, this stuff takes time to do.) They're arranged roughly in the order they appear in their respective songs (introductions at the beginning, codas at the end) -- i.e. they aren't hierarchially ranked. Honorable mentions which could just as easily have been on this list come at the end, with the caveat that I'm probably forgetting something. I've isolated audio clips of each prime moment for you, with a little context so you can understand more fully why they're so affecting. They're only excerpts in order to more precisely distill the essence of what makes it great, and frankly, so I can claim fair use. So if you like listening to jazz, but wish it were shorter and less complete, have I got the thing for you. Go forth and click. I'm a sucker for the sound of a string ensemble meeting a snare drum -- as a point of reference, see Roy Haynes' brushwork on "I'm Late, I'm Late," from Stan Getz's Focus. Nicole Mitchell seems to know this, but she makes us wait for it. On "No Matter What," from her first recording with her Black Earth Strings group (flute-violin-cello-bass-drums), the strings swing plenty hard without drumming. But when Mitchell takes the first solo, Shirazette Tinnin starts up with some rhythmic hand percussion: Game on. When it's Renee Baker's turn to take a violin solo, Tinnin switches to a light bundle stick and the trap drums. (Or brushes? Same difference.) And when she locks up the snare with the cello-and-bass groove, The Jam Has Begun. The settings continue to shift fetchingly throughout the piece, but you can hear the payoff at around 1:09 of this clip. "Joe's car broke down again"
What a magnificently depressing image: Agitated tales of globetrekking met with the banality of banalities. It's an emotive portrait of lives going in different directions, set to the crisp shredding of Anders Nilsson's electric guitar. And it's delivered with Victor's hefty projection and flexibility. The whole thing is as if Joni Mitchell wrote lyrics for a lost Betty Carter prog-rock album -- and it totally works. Anyway, the real gut-punching moment of all this is when "The looks on their faces went blank," and the bass note changes unexpectedly underneath that shift. It's a perfect synchrony of message and music, embedded within what you could call a free jazz vocals record. Here's the bulk of the lyrics -- the bit I refer to comes at :38. With some frequency, Stefon Harris' 2009 record Urbanus tests a certain musical maxim: A gorgeous melody can make any instrument sound good. Saxophonist and vocalist Casey Benjamin is the prime mover: On songs like his "For You," he sings through a vocoder, that dehumanizing voice-manipulation relic of greasy '70s and '80s pop. But he does so with an tunefulness that will not be denied. Its appeal is half force of melody, half delightfully tacky, as if you were half-absorbing a prefab, synth-driven Top 40 mix at a faux-boutique clothing chain when suddenly you realize: "Hey, this is kinda hip." (Not that this happened to me during Christmas shopping or anything.) The real kicker of "For You" starts when Benjamin transitions out of the second 'A' section to the bridge -- from the revelatory chord change that concludes "guess we shall see," to the subsequent rising arpeggio on "no one can take your place," and the way it all resolves. (See also: a slightly different configuration on Robert Glasper's version of this tune, as heard on Double-Booked.) Around :38 of this clip, Benjamin morphs from a moody, pentatonic saccharine crooner into a soaring, sunrise-bright, irrestistible saccharine crooner. Big smiles all around. Gretchen Parlato's appeal isn't entirely her voice, unless in contradistinction to full-throated divas of yore. It's more how she imagines creative settings to surround that light, pitch-perfect coo -- for example, duetting with longtime musical partner-in-crime Lionel Loueke. On "Doralice," the old Dori Caymmi Brazilian standard, Parlato claps and sings with smart phrasing, and Loueke sings the bass, the percussion, and the whacked-out, convulsive vocalizations. And on the second pass through the melody, things loosen up such that Loueke becomes unpredictably weird in how he interjects fits of variety to spice up life. This is an excellent thing, especially at :21 of this clip -- but here's that whole second chorus for good measure. Miguel Zenon is inhumanly good at playing the saxophone. I mean that mostly as a compliment, but infrequently as a pejorative: His previous records have occasionally struck me as dispassionately complex. So even after seeing his quartet at Newport, I wasn't fully expecting that Esta Plena would be my hands-down favorite Latin jazz record of the year. That's what three singing percussionists and a six-figure grant will do for you, I suppose. Anyway, in the middle of the cultural meditation "Que Sera De Puerto Rico? ", he sets up a raucous call-and-response interlude. Amid swarms of percussion, lead plenero Tito Matos belts out a statement, to which the band replies, tutti, "de mi isleta que sera?" (what will become of my little island?). To put an exclamation point on the whole thing, Matos starts up this wordless "oo bop oo-bop, oo bop oo-bop" pattern on the penultimate call. And, as if to one-up Matos, the whole band echoes with all its exuberant might: "OO BOP OO-BOP, OO BOP OO-BOP!" It teeters on being too cheeky for its own good, but it's also too audacious, emphatic and, ultimately, sensible that one can't help laughing and being awed at once. We'll pick it up in the middle of the call-and-response: Listen especially at :30 in. Mark Small pays New York rent by playing saxophone in Michael Buble's touring band. A gig with Darcy James Argue's Secret Society must be far less lucrative, especially considering the pot gets split 18 ways -- but on the studio version of "Phobos," he hits a musical jackpot. His sweet and sour solo grows and grows, and when it reaches its climax, he's digging into the altissimo register with an unstoppable, forward-pressing energy. Of course, it's Argue who's the real enabler. Big band composers will tell you it's nearly impossible to write backgrounds which have personality to them, and mesh well with the soloist -- but it's exactly what he does on his debut record. We'll pick it up at the moment when Sebastian Noelle starts churning on electric guitar, and Jon Wikan abandons his (amplified) cajon for a rockish beat on the drum kit. See how it grows still: the band and the soloist peak concurrently around 1:02 and keep the intensity up for a goodly while. There's a certain point toward the end of the title track of John Hollenbeck's new album which feels like a false summit. Having grown from a single disjointed phrase to a full-on, throbbing chorale for winds, with majestic trumpets doubled by wordless vocals, you might start to think a lull was imminent. But right as that notion occurs to you, an ominous shadow lengthens, and you realize instead: Oh snap I am about to be bludgeoned in the ear by all kinds of Awesome. Cue a gale-force wind of low brass, and bari and tenor sax, and electric bass, and floor toms, and even Theo Bleckmann's beatboxing. It's as if Hollenbeck summons a 21st century version of Gene Krupa's boisterous bounce on "Sing, Sing, Sing," and then oversaturates it with four more layers of fast-tongued, low-end "BLLAAATTTT." It bellows and beats its chest, and if by then you aren't involuntarily jerking your torso along with it spasmodically, there's something wrong with you. You need the context of the entire thematic idea to fully appreciate how it got to where it is, so we'll start from the beginning of the end. (It's a long excerpt, but the whole thing is 19+ minutes of completely through-composed goodness, so ...) The fool's gold is located at 2:53 of this clip, and the magic moment hits 12 bars later. Vjay Iyer first caught my ear with the impressive original compositions on his previous two albums for jazz quartet: 2008's Tragicomic and 2005's Reimagining. But let's be honest: Historicity is the consensus album of the year (says the Village Voice poll) because of its strikingly deft interpretations of other peoples' music. Of all the composers covered here, Andrew Hill had the most direct influence on Iyer; Iyer returns the favor by spinning the elongated blues of "Smoke Stack" about face. Rather than stating the melody up front, Iyer starts from nothing, and gradually builds around tantalizingly fragmentary hints of the tune. For about four straight choruses, we're led to believe the head will arrive when the form resets, only to have the carrot yanked away in a new direction. (What a tease, this Iyer fellow.) All the while, he's also working up the trio to fever pitch, concocting something akin to the aural information overload of the two-bass original. So when the melody finally hits in full glory, it's delayed gratification of a most satisfying variety. The action starts here at the very beginning, and the melody finally enters at 4:31 of the clip. One of my favorite modern jazz phenomena is when a great melody runs roughshod over a barrelling, cacophonous bed of noisy rhythm. But you knew that already. Let us now celebrate the creators of such joyful noises themselves: In the case of "Conjuration of Angles," it's a drummer named Rudy Royston. To be certain, tenor saxophonist JD Allen and bassist Gregg August take affecting solos, and the repeating riff which passes for melody, however basic, has a certain catchiness to it. But all seem to know that this show has been stolen by Royston, whose array of rolling thunder rolls is inexhaustible. So Allen cedes the ending to his drummer: "Everyone knows you've got the hot hand -- figure out a way to make a coda happen," he appears to indicate. Royston's sign-off is simple, direct, demonstrative: Four fat bass drum stomps and a crash. "Ok, there," Royston seems to respond. "How you like them apples?" Here's the last minute or so of the track: Rudy pulverizing the skins, and turning the lights off on his way out. --the same could be said of Ran Blake, Driftwoods (Tompkins Square), though it's especially true on songs you may recognize in the first place; I'm partial to "I Loves You, Porgy"